Some mysteries just won’t stay at rest. 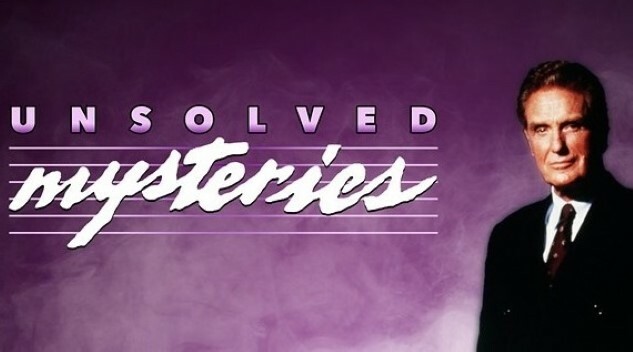 Word on the street this afternoon, per Deadline, is that Netflix is relaunching an upcoming reboot of long-running true crime/paranormal franchise Unsolved Mysteries. Yes, the show that possessed the scariest opening theme music of all time (just listen below) will once again be gracing our television sets, with a few updates for the streaming age. The original series was hosted by steely-voiced actor Robert Stack, and ran for more than 500 episodes between the years of 1987 and 2010, repeatedly hopping networks in the process. Its original run was between 1987-1997 on NBC, before spending two years on CBS, a few on Lifetime and a few more on Spike from 2008-2010. These final episodes to date were hosted by Dennis Farina, following Stack’s death in 2003. This new Unsolved Mysteries is reportedly coming to us from Stranger Things executive producer Shawn Levy, which would make a whole lot of sense. Deadline reports that Dunn Meurer would serve as showrunner, and that the Netflix series would be a 12-part show that would focus on a single case per episode, rather than the hodgepodge of cases you would typically get in a classic Unsolved Mysteries episode. Perhaps they’re trying to avoid the tonal whiplash of discussing kidnappings, bank robberies and UFO sightings within a single episode? Regardless, the series will still make use of extensive reenactments of the criminal/paranormal events at the heart of each mystery, which is of course an Unsolved Mysteries trademark. We look forward to more information on Netflix’s Unsolved Mysteries to break in the near future. In the meantime, keep freaking yourself out with that theme song.